This paper describes the diagnosis and treatment of a rare case of FNP that developed after a dental procedure with a local anesthetic injection. A 15-year-old young girl was admitted to a private dental practitioner with the complaint of mild pain because of a decayed mandibular molar tooth in the right side. The dentist, therefore, applied a block regional mandibular anesthesia with a disposable regular dental needle using 2% lidocaine with 1:250.000 epinephrine for dental treatment. There was no sign of FNP at the end of the treatment, however, the onset of symptoms was gradual during the next 8 hours. Within the next 8 hours, she noticed a weakness in the muscles around the eye and mouth at the right side of her face. She developed a typical facial weakness and could not smile or blink or even close her eye with maximal effort [Figure 1]. She was due to see an immediate consultation referred to our Department. Further examination revealed a reduction of sensation to the lips and a loss of taste at the right side of the tongue. Panoramic radiographic examination revealed nothing uncommon [Figure 2]. Treatment with prednisone (prednisolone, 60 mg per day), and because of the possible effect of Herpes Simplex Type 1 (HSV-1) in the etiology, antiviral drugs acyclovir (Zovirax, 5 × 400 mg per day) were administered as a combination therapy. The treatment was continued for 10 days. At the end of the 4 th day, movement began to return to her face and the symptoms were disappeared within a 3 weeks period. Pogrel et al. reported that the amount of the nerve damage is neither related to any type of local anesthetic agents nor to the number of injections given at one site. In addition, they stated, as an interesting example, that the patients had received multiple dental injections within 3 months before the nerve damage occurred. They suggested that the nerve position is an important factor related to nerve injury by a needle. The article published by Gray  reported patients with multiple peripheral facial nerve paralyses in dental origin. He also reported 10 cases with Bell's palsy related with dental and paradental infections. The real mechanism in those cases was not known, however, toxicity was considered to be the probable reason. In dental practice, it should be considered that iatrogenic factors may play a direct or indirect role in FNP. Onset of the treatment using prednisolone and antiviral drugs combined therapy was successful in our case. However, clarification of etiology and treatment of FNP may require a multidisciplinary medical team. Therefore, dentists should be aware of clinical findings and should have an essential treatment plan of FNP in dental office. Ramoglu M, Demirkol M, Aras MH, Ege B. Peripheral Facial Nerve Paralysis Triggered by Alveolar Osteitis. J Craniofac Surg 2015;26:e292-3. Finsterer J. Management of peripheral facial nerve palsy. Eur Arch Otorhinolaryngol 2008;265:743-52. Zalagh M, Boukhari A, Attifi H, Hmidi M, Messary A. Contralateral facial nerve palsy following mandibular second molar removal: Is there co-relation or just coincidence? Pan Afr Med J 2014;18:173. Ilea A, Cristea A, Tarmure V, Trombitas VE, Campian RS, Albu S. Management of patients with facial paralysis in the dental office: A brief review of the literature and case report. Quintessence Int 2014;45:75-86. Shayan S, Newman A, Closmann J, Borris T. Bell′s Palsy Precipitated by Activation of Herpes Zoster Virus During 3 rd Molar Removal. J J Dent Res 2015;2:17. Vasconcelos BC, Bessa-Nogueira RV, Maurette PE, Carneiro SC. 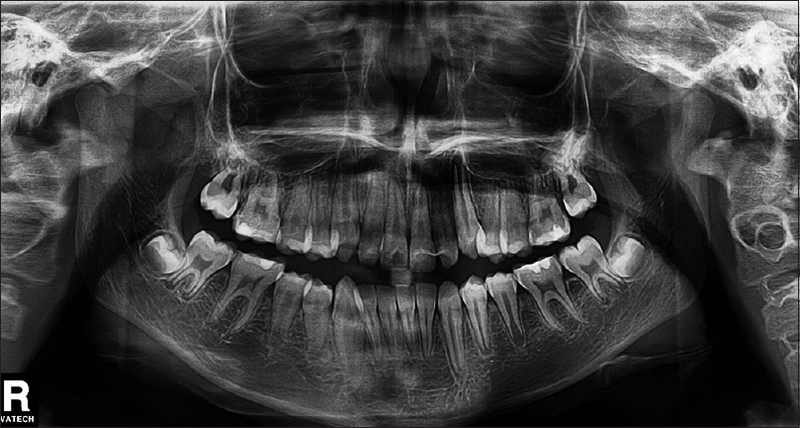 Facial nerve paralysis after impacted lower third molar surgery: A literature review and case report. Med Oral Patol Oral Cir Bucal 2006;11:E175-8. Pogrel MA, Bryan J, Regezi J. Nerve damage associated with inferior alveolar nerve blocks. J Am Dent Assoc 1995;126:1150-5. Gray RL. Peripheral facial nerve paralysis of dental origin. Br J Oral Surg 1978;16:143-150. Miles PG. 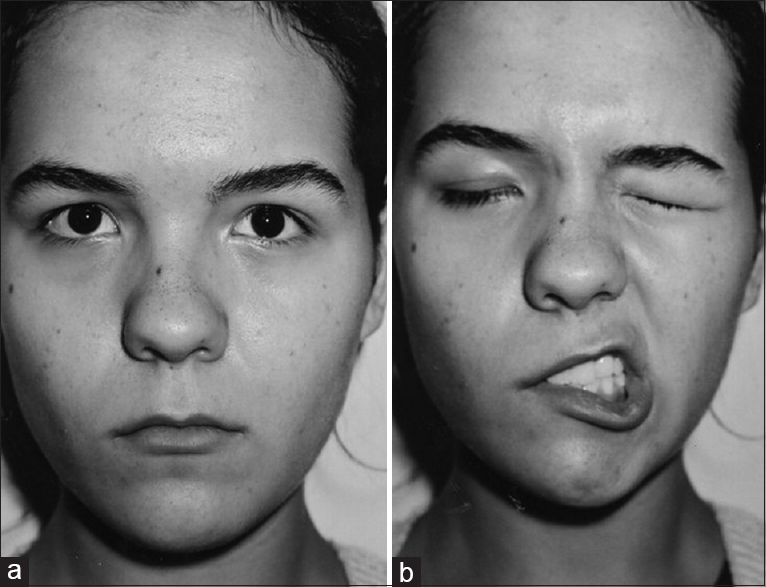 Facial palsy in the dental surgery. Case report and review. Aust Dent J 1992;37:262-5. Hato N, Yamada H, Kohno H, Matsumoto S, Honda N, Gyo K, et al. Valacyclovir and prednisolone treatment for Bell′s palsy: A multicenter, randomized, placebo-controlled study. Otol Neurotol 2007;28:408-13.